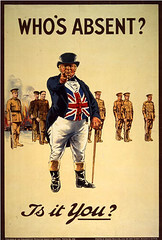 Unless of course you are going to do a brief history of “finger pointing” posters through the ages and around the world. See them all here courtesy of the Russian design studio of awesomeness, Art. Lebedev. Challenge: How would you re-brand AIG?